Looking to install a cold room with a freezer door? Here at MTCSS, we provide a huge variety of state-of-the-art cooling solutions. We have a wide selection of chiller and freezer doors available. Each have a multitude of features and can be utilised by businesses from a range of industries and environments. Our freezer doors come in various designs. We offer sliding doors and hinged door models. We also provide a range of specialist doors that are used for controlled atmospheres. Automatic doors are also available. The sliding door is designed using a patented ‘mirror track’ sliding system. This ensures that the door remains symmetrical and flush to the rest of the frame and the room it is attached to. MTCSS doors can be produced to a standard specification with a PVC frame. We also have a stainless-steel option. These doors are from leading Italian door manufacturer MTH. We also provide a range of high-speed fast action from Nergeco. Their flexible doors, made from either composite or steel, can fold and are built to suit various applications. Each design we offer is available with or without vision panels. The doors we provide are produced bespoke for you. They come in custom sizes to fit the design and dimensions of the cold room or building where they will be installed. We understand that different industries require cold storage solutions and doors of varied sizes. Our automatic doors can safely and quickly rise and close as you need. High-speed freezer doors can be opened at a speed of up to 48 inches per second. Our sliding doors can be opened rapidly and come with blade thickness options. Each freezer door frame we supply comes with an easy to use handle which aids the speed in which you can use it. We are located near many motorway routes and several key road networks. We are ideally placed to provide our maintenance services to companies the length and breadth of the country. Our engineers can quickly fix any problems you have and we also stock a huge selection of spare parts for freezer doors. To learn more about our selection of cooling services, you can get in touch with our expert team. We have more than 50 years’ experience to our name. Contact us by calling 01886 833381 or via our email sales@mtcss.co.uk. We will be delighted to answer any of your questions and queries. Are you looking to install an insulated door? Here at MTCSS, we have a combination of more than 50 years’ industry experience providing a range of innovative cooling solutions – there are many benefits to our selection of doors. The doors we provide are available as both sliding and hinged door models. Our sliding designs use a patented sliding system ‘mirror’ model, which guarantees a completely flush, symmetrical sliding door. Both styles come in numerous different sizes so you can rest assured there will be a door with a dimension to suit the needs of your business. Various blade thicknesses are also available for the sliding style, as are a multitude of blade protection devices, while you have the choice between a door with one or two blades. Each insulated door frame we supply and install is thermo-welded and come with an easy to use handle. We understand that a range of working temperatures are needed depending on what you are storing inside your cold room. The insulated doors we provide work in temperatures as low as -45°C, while we also supply models which are suitable for positive temperature storage. Our doors are efficient, and their installation means you can expect to see temperatures stay at a much more consistent level. An efficient room which stays at its optimal temperature can lead to a reduction in the cost of your energy bills. Whatever type of business you own you are sure to find a type of cold storage door that meets your requirements. We are based near several motorway routes and major road networks. This means that we are able to provide you with our maintenance services no matter where you are located. Our fully trained team of engineers can rapidly fix any issues you have. We also have a wide range of stock spare parts for our insulated door range. This ensures your door stays working efficiently 24 hours a day, 7 days a week. If you require any further information about our services, you can get in touch with our experienced, knowledgeable team. Contact us by calling 01886 833381 or via our email sales@mtcss.co.uk. We will be delighted to answer any queries and questions you have about our hinged or sliding doors. Whether you’re setting up a new business or looking to update your current business premises, the chances are, you will need to invest in personnel doors. They’re probably not something you have given much thought before; however, they can be integral to the smooth day-to-day operation of your business and it is important to do your research and choose the right model for your needs. In the following blog, we answer some of the most frequently asked questions about personnel doors and outline the main factors that you should consider when buying them for your property. What is a personnel door? A personnel door is a type of commercial door, designed specifically for use by employees (or personnel). They are usually installed in busy internal environments – where a constant flow of daily foot traffic is expected – and, as such, they are built in a very different way to an average door. For example, personnel doors are typically constructed from steel or stainless steel and they come fitted with heavy-duty hinges, gaskets and hardware. They can successfully withstand wear and tear and excessive daily use, and thanks to their impressive semi-insulating properties, they are ideal for use in positive temperature environments (insulating the room at 0°C or above). Where are personnel doors commonly used? Steel personal doors are employed across a diverse range of industries, including everything from food manufacture and cold storage to warehousing, pharmaceuticals, and IT. Generally speaking, they are used to separate different types of room in the building – maintaining the temperature within each, yet allowing staff to gain quick and easy access when necessary. For example, a personnel door can be used to separate office space from hygienic areas (e.g. toilets, changing rooms) in an office building or school. 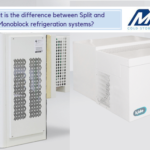 They can be used to divide noisy production areas from quiet spaces in a factory or to separate refrigerated storage and ‘room-temperature’ storage in a warehouse and distribution centre. The applications are endless and, whatever the nature of your business, it is likely that a personnel door will be required somewhere within your premises. Size – personnel doors are typically sold in a range of standard sizes. However, they can also be made bespoke to order to meet your individual needs. They are available both single- and double-bladed and, in some instances, it is possible to select two blades with different widths. Orientation – as personnel doors are hinged, it is possible to buy both right-handed and left-handed versions, and this choice is usually determined by the door’s intended location. It makes sense to choose the orientation that is most practical, thus facilitating easy access for the user. Style – personnel doors come with a range of style choices, including a variety of lock and handle styles and metal sheet colours, as well as the potential to add a circular porthole or vision panel. Where can I buy personnel doors? If you are looking to invest in personnel doors for your business, MTCSS is the perfect place to start your search. We work closely in collaboration with MTH – a company that has become renowned across the globe for the quality of their products – and, as such, we are proud to supply and install the best semi-insulated personnel doors currently on the market. Our onsite experts demonstrate a wealth of knowledge in this area and, whatever the specific needs of your business, they can help to design and create the perfect MTH service doors for you. All of our personnel doors are hinged and available in standard and ‘bespoke’ sizes, up to 1500x2500mm for a single blade model and 3000x2500mm for a double. They can be designed with or without a vision panel, they can be left or right-handed and there are a number of stylistic finishes to choose from. 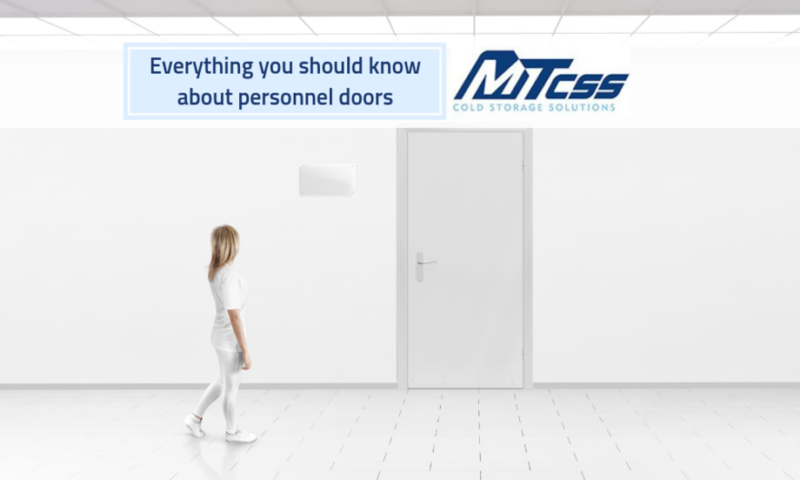 Personnel doors are a worthwhile and often essential investment for many business owners – and when the time comes to buy or replace the ones in your premises, MTCSS are here to help. Our website has further information on the MTH service doors currently available; however, if you have any questions, please feel free to get in touch. Either call us today on 01886 833381 or send an email to sales@mtcss.co.uk and we will respond to your enquiry as soon as possible. A hallmark of a cold room or walk-in freezer is a sturdy, insulated door or a heavy curtain, protecting the chilled environment from intrusion by heat and contaminants from outside. It’s no coincidence that so many cold rooms and chilled storage areas use these specially-designed doors – they are vital for proper insulation. When outfitting and equipping a cold room, you should carefully consider the cold room door which you will use. 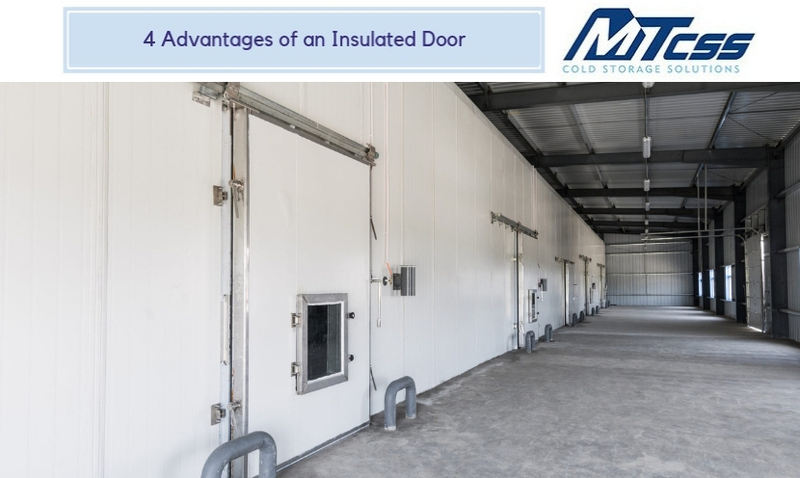 Without a specially-insulated or refrigerated door to form a barrier between your cold room and the outside world, there will be a gap in the insulation of your cold room, through which you are likely to lose energy and gain unwanted heat. At best, your energy bill will increase and wear on your cooling unit will be more rapid and more severe: at worst, the contents of your cold room could be ruined by the increase in heat. A specialised cold room door helps to prevent this from happening, not just by providing superior insulation and temperature control, but also by opening and closing in such a way as to limit the air disturbance and avoid too much warm air from entering the cold room. 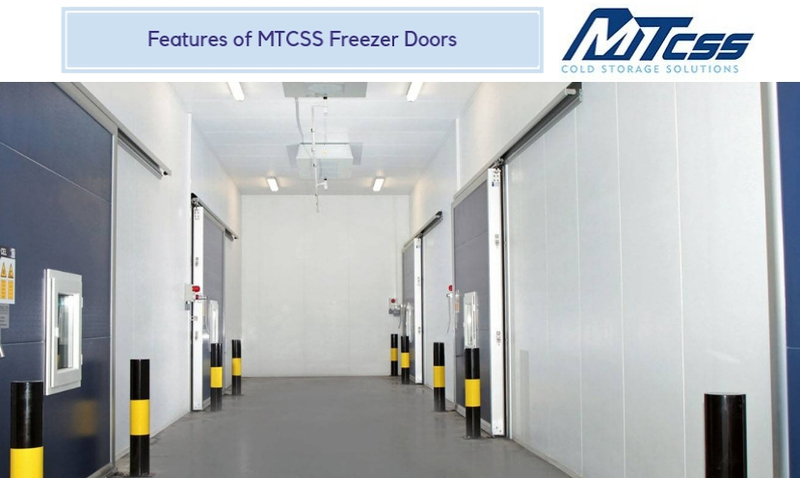 If you are interested in making your business cold storage more efficient, more cost-effective and more reliable, then a specialised cold room door from MT Cold Storage Solutions is an investment that you will never regret. Call us today on 01886 833381 or send us a message on the contact form on our Contact Us page to speak to a cold storage expert today, who will be able to recommend the specialised cold room door that will best suit your requirements, and help you achieve the best possible results! What Sorts of Cold Room Doors Are Available? A Cold Room Sliding Door is ideal when space is at a premium, or trolley and forklift access is required to the cold room. Simply sliding out of the way, a cold room sliding door allows ready access to the cold room and are available as horizontal sliding, vertical sliding and automatic doors. 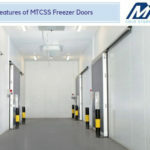 Available in a variety of thicknesses to suit the requirements you have, the cold room sliding doors from MT Cold Storage Solutions are effective for temperatures ranging between 30°C and -40°C. Ideal for smaller cold rooms, or where the only access required to the cold room is pedestrian and no forklift or pallet access is required, the hinged cold storage doors from MT Cold Storage Solutions come with certified handles and heater cable to ensure that they provide the best possible performance down to -30°C, making them suitable for use in a huge range of applications including walk-in freezers. MT Cold Storage Solutions also offers more specialised doors to our clients if they need them, including controlled atmosphere doors, automatic doors and vertical sliding doors. The specialised doors from MT Cold Storage Solutions can be tailored to your requirements – just get in contact with us today to let us know what you need! 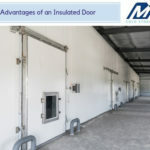 What are the Advantages of Insulated Cold Room Doors? Insulated cold room doors prevent a cold room from losing heat to the outside world, preventing convection, conduction and radiation from carrying heat in. Even if a non-insulated door is kept closed and sealed at all times to stop convection of warm air from occurring, the heat will still conduct through the door and radiate into the cold room environment beyond. Such non-insulated doors will feel cold to the touch because of this – but insulated or refrigerated doors, like the specialised doors available from MTcss, stop conduction dead in its tracks and keep heat out of the cold room. Where insufficient insulation occurs in a cold room, the room will act as a heat sink for the surrounding area, and the cooling unit will be forced to work harder to maintain the required temperature. This sends your electricity bill soaring and greatly accelerates the wear and tear on your cooling unit – potentially leading to a costly and inconvenient component failure. In either case, an insulated door prevents this from happening, and saves you money, energy and stress in the long run! 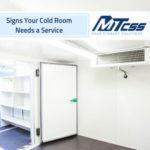 Contact MT Cold Storage Solutions for Cold Room Doors Today! If you would like more information on the cold room doors available from MT Cold Storage Solutions, you can get in touch with us at any time by calling our head office telephone number, 01886 833381, or messaging us directly on our online contact form on our Contact Us page! 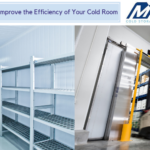 The experts at the MT Cold Storage Solutions head office have years of experience with providing business owners with the ideal cold storage solution to suit their needs, whether they need an insulated cold room sliding door or a full, bespoke walk-in cold room! Get in contact with us today on 01886 833381 to speak to one of our staff about your requirements for your cold storage doors – they will be happy to answer any questions you may have, provide any advice that you may require or process any requests that you would like to make. Your cold storage doors are one of the most important insulators in your cold storage solution – don’t leave them by the wayside!